Donald Garland Brackhahn, of Rolla, passed away Monday, April 1, 2019 at the age of 82. He was born in Kansas City, MO on November 2, 1936 to the late James and Mary (Garland) Brackhahn where he attended Paseo High School. On February 24, 1961, he married Nancy Lee Dunbar and they were later blessed with two daughters. Don was known for his service to others and his loud, booming voice which you could hear during services at Christ Episcopal Church or at sporting activities throughout the town of Rolla. During the Christmas season you could also find him in his red suit and beard at the top of the cherry picker during the Christmas parade or spreading cheer through the town. Don earned a bachelors and a masters degree in history and government from UMKC. Later he earned a Post Masters Higher Education Administration degree from UMKC. He first taught history at Southwest High School in the Kansas City area. 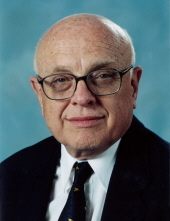 In 1966, Don became Alumni Director for UMKC. In 1970 he was appointed Director of Alumni and Constituent Relations and Director of Development at UMKC. Starting in 1980 Don served two years as Special Assistant for Alumni Relations to the President of the University of Missouri. He later came to Missouri S&T where he served and retired as the Director of Alumni and Constituent Relations. Don was very civic minded and served in many capacities for several organizations. He has been a member of American Society of Association Executives, Council for Advancement and Support of Education, Phi Delta Kappa, Phi Mu Alpha Sinfonia, Omicron Delta Kappa, and Tau Kappa Epsilon. In Kansas City he served as Metropolitan United Way Speakers Division chairman, President of the Johnson County United Community Services, President of Johnson County Friends of the Library, and President of the standing committee of the Episcopal Diocese of Kansas. He was also a member of the Johnson County Kansas Library board of trustees, the Kansas City Missouri Chamber of Commerce and Kansas City Museum of History and Science board of trustees. In Rolla he was a member of the Order of Golden Shillelagh Donor Society, on the Board of Directors for MRPC and member of Rolla Chamber Ambassadors. He was president and on the board of directors for the Phelps County Public Water Supply District II, on the Rolla United Fund board of directors. He was a Tau Kappa Epsilon campus advisor, advisor to Omicron Delta Kappa, and organizing president and on the board of directors of the Rolla Town Band. He was a lay reader at Christ Church and was elected as lay representative to the Cathedral Chapter of the Episcopal Diocese of Missouri. He is also a founding member of the World’s Finest Rolla German Band and avid fan and supporter of the Rolla Bulldogs and S&T Miners. Don has served as President of the Rolla Noon Rotary Club where he was recently recognized with 20 years of perfect attendance. He is a past District Governor and past District Treasurer of Rotary International. Recently he received the Volunteer of the Year Award from the Rolla Chamber of Commerce. He was also awarded the Paul Harris Rotarian Award, the UMKC Community Service Award and a University of Missouri Presidential Citation for Alumni Service. In addition to his parents, he was preceded in death by one brother, Jim Brackhahn. He will be greatly missed by his surviving family which includes his wife of 57 years, Nancy Brackhahn, of Rolla; two daughters, Dawn Sullivan and husband Steve, of Shawnee, KS and Diane Simon and husband David, of Rockford, IL; two brothers, Robert (Carol) Brackhahn and Thomas (Alice) Brackhahn, and sister-in-law Diana Brackhahn all of Shawnee Mission, KS; three grandchildren, Dana Simon, Erin Sullivan and Evan Sullivan; nieces, nephews, other extended family members and many dear friends. A memorial service celebrating the life of Don Brackhahn will be held Saturday, April 6, 2019 at 3pm at Christ Episcopal Church in Rolla. Memorial contributions may be made in Don’s memory to the Don and Nancy Brackhahn Scholarship Fund at Missouri S&T Alumni Office or the Rotary Foundation. To send flowers or a remembrance gift to the family of Donald G. Brackhahn, please visit our Tribute Store. "Email Address" would like to share the life celebration of Donald G. Brackhahn. Click on the "link" to go to share a favorite memory or leave a condolence message for the family.